Welcome to Hunts Gymnastics! Please complete the following registration form. I recognize that potentially severe injuries, including permanent paralysis or death can occur in sports or activities involving height or motion, including but not limited to gymnastics, tumbling, trampoline, dance, cheerleading, and aerial arts. Being fully aware of these dangers, I voluntarily consent the aforementioned person participating in any and all, Hunt's Gymnastics programs, clinics, camps and activities and I accept all risks associated with that participation. I hereby waive all claims, action, causes of action, demands, rights, damages, costs, loss of service, expenses and compensation whatsoever that may accrue on account, or, of any and all instruction and activity of myself or child and hereby assume all risks. I acknowledge that Hunt's Gymnastics Academy is not an insurer against injury. I have read and understand the assumption of risk and waiver of liability and medical authorization and I voluntarily affix my name in agreement. In consideration for allowing my child to use these facilities, I, on my own behalf of my own and our respective heirs, administrators, executors, successors, hereby covenant not to sue and forever release Hunt's Gymnastics Academy, its officers, directors, shareholders, employees or agents from all liability for any and all damages or injuries suffered by my child or myself while under the instruction, supervision, or control of Hunt's Gymnastics including, without limitation, those damages or injuries resulting from acts of negligence on the part of its officers, directors, shareholders, employees or agents. In the event of an accident or emergency I would like my child and or myself to be taken to a hospital for medical treatment and I hold Hunt's Gymnastics and its representatives harmless in their execution of this matter. Additionally, I hereby agree to individually provide for all possible future medical expenses which may be incurred by myself or child as a result of an injury sustained while participating at or for Hunt's Gymnastics Academy. I have read and understand the assumption of risk and waiver of liability and medical authorization and I voluntarily affix my name in agreement. All tuition must be paid before the 1st of each month in order to participate in class. All payments received on or after the 1st of each month will receive a 10% late fee. You will be charged according to the date it was paid, not the date on the payment. Students may not participate in any classes until the tuition is paid. Your balance is subject to the same above policy. There is a $35 charge for all returned checks. A bounced check will not receive any of the discounts. If your account becomes delinquent, you agree to pay interest, court costs, attorney's charges, and all collection agency charges at an additional 40%. All tuition and yearly registration are non refundable. Please make checks out to Hunt's Gymnastics. Please write the name of participant on the check. I understand a 2 week notice is required to drop from classes. No refunds. Hunt's Gymnastics reserves the right to cancel classes based on low attendance. All payments will be drafted on the 25th of each month. Session payments will be drafted on the 25th of December, March, June, September. In the event of an accident or emergency I would like my child and or myself to be taken to a hospital for medical treatment and I hold Hunt's Gymnastics and its representatives harmless in their execution of this matter. Mother, father, listed emergency contact &/or guardians will be contacted first. 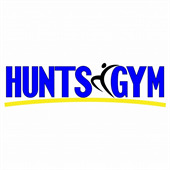 During Hunt's Gymnastics events & classes we often take pictures for our website or other marketing material. You are giving permission for Hunt's Gymnastics to use pictures and/or video footage of any participants with no compensation.